DTE Energy has entered into an agreement with the GYPSOIL division of Beneficial Reuse Management to market GYPSOIL brand gypsum from the Monroe Power Plant in Monroe, Mich. GYPSOIL is an important soil amendment to help farmers increase soil productivity and protect water quality. 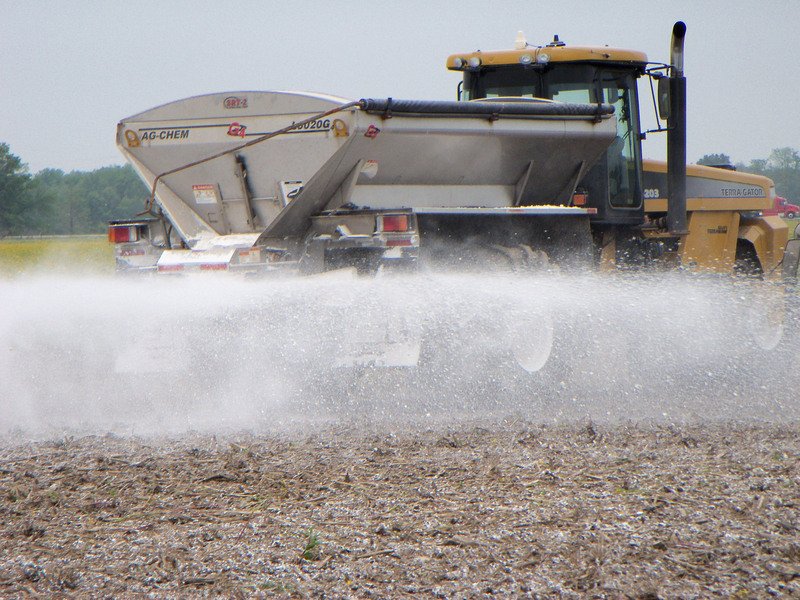 Gypsum is a very economical way to increase soil productivity on the farm. Soil productivity improvement is increasingly emphasized in managing crops and it is a chief reason farmers apply agricultural gypsum. A new agreement between the GYPSOIL division of Beneficial Reuse Management (BRM) and DTE Energy will make gypsum from DTE’s Monroe Power Plant, in Monroe, Mich., available to growers in Michigan, Ohio and Ontario, Canada. GYPSOIL will market flue gas desulfurization (FGD) gypsum produced by the Monroe plant’s modern wet scrubbers that clean sulfur emissions from flue gasses and improve air quality. Already available in 22 states, GYPSOIL brand gypsum is used by crop growers as an effective tool for managing tight soil structure, improving water infiltration, reducing runoff and nutrient loss, and helping growers attain higher yield potential. The Monroe Power Plant is located along the western shore of Lake Erie. It is one of the largest coal-fired power plants in the United States. The plant has four generating units and a maximum output of 3,300 megawatts when all four units are operating. For centuries, crop producers have relied on gypsum to improve soil quality. However, its use in agriculture was limited to areas where gypsum mining occurs, in part due to high transportation costs. The modern availability of FGD gypsum, which contains fewer impurities than mined gypsum, offers new supply options to agricultural producers. For more information about gypsum for agriculture, visit Gypsoil.com or call 1-866-GYPSOIL (497-7645). GYPSOIL is a division and trade name of Beneficial Reuse Management, LLC. Its mission is to help crop growers improve their soils and increase productivity while conserving natural resources and protecting the environment. GYPSOIL brand gypsum is now available through distributors in 22 States in the Midwest, Plains and South. GYPSOIL manages gypsum distribution and marketing programs for a wide range of supply partners including utilities and manufacturing companies, diverting valuable co-products from landfill disposal to productive use as agricultural inputs. Follow us on Twitter @gypsoil ● Like us at Facebook.com/pages/gypsoil. (1) The Fertility of North American Soils, 2010, Bulletin Summary, International Plant Nutrition Institute, March 2011. (3) New Results from Research using Gypsum to Combat Water Pollution, Abstract produced by Greenleaf Advisors, LLC, Spring 2014. (4) Norton, Gypsum soil amendment as a management practice in conservation tillage to improve water quality. Journal of Soil and Water Conservation, March/April 2008.